Dental Emergency Specialist - Torrance, CA: Eugene Y. Yang, DDS: General & Cosmetic Dentist: Eugene Y. Yang, DDS, INC. The last thing anyone wants to be faced with is a broken tooth, unrelenting toothache, or some other dental emergency. But when it does happen, there’s nothing better than having a top-notch emergency care dentist close by. Dr. Eugene Y. Yang understands that dental emergencies require immediate attention. 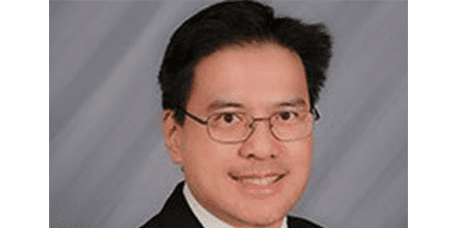 At Eugene Y. Yang, DDS, INC., his state-of-the-art practice in Torrance, California, he offers “as needed” urgent appointments to patients from communities across the South Bay area. If you need urgent dental care, call the office or book your appointment online today. If you’re having a dental emergency during normal office hours, call Dr. Yang’s office immediately. If your emergency occurs outside of normal hours, head directly to your local urgent care center or emergency room. Can a lost permanent tooth be saved? If you or your child has had a permanent tooth accidentally knocked out, seeing Dr. Yang as soon as possible can mean the difference between saving the tooth, or eventually having to fill the empty space with an artificial tooth. Between the accident and the dental chair, it’s important to take proper care of the lost tooth. If it’s dirty, rinse it gently in water. Then, if possible, place the tooth back in its socket to keep it moist. Don’t push it down into the root, however, as you may unintentionally damage the tissues that help facilitate bone reattachment. If you can’t set the tooth back into its own socket, try holding it in your mouth underneath your tongue. The important thing is to keep it moist: Wrapping the tooth in gauze and immersing it in milk also does the trick. What can I do for a cracked tooth? A tooth fracture, which may be caused by using your teeth to open something, chewing ice, or biting down on hard food like candy or popcorn kernels, is a relatively common dental emergency. If you think you cracked your tooth, begin injury care at home by rinsing your mouth with warm water. Then, place an ice pack or cold compress over the area to reduce swelling. Take ibuprofen, not aspirin, if you require immediate pain relief. As soon as you can, call Dr. Yang’s office for an emergency care appointment. He’ll assess the extent of the fracture and determine the best approach for treatment. Although he can usually smooth or restore minor fractures, moderate fractures may require a crown.